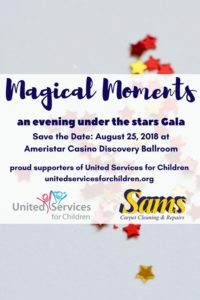 Sams is excited to announce that our very own Jeff and Susan Sams will serve as co-chairs for the annual United Services for Children gala which will take place on August 25th at the Ameristar Casino Discovery Ballroom. This year’s theme for the gala is “Magical Moments – An Evening Under the Stars.” Jeff and Susan will join with the United Services community to welcome guests in celebration and gratitude as they raise much-needed funds to help children with disabilities. The community is welcome at the gala, so save the date for August 25, 2018 at Ameristar Casino Discovery Ballroom. Jeff and Susan have been longtime supporters of United Services, which recently announced an initiative to build a universally accessible Children’s Museum in Lake St. Louis. The museum will be the first of its kind to be built from the ground up. 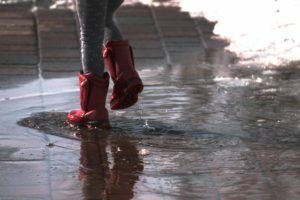 Both look forward to playing a part in supporting these plans, as well as continuing their advocacy for United Services’ ongoing activities to serve children in the community. United Services for Children invites the community to join us for an evening of celebration and gratitude as we raise money to help children with disabilities. Saturday, Aug. 25, 2018, in the Discovery Ballroom of Ameristar Casino-St. Charles. United Services will present the Champions for Children award to Joel and Janet Brett. Joel has served many years on the agency’s board of directors. He and Janet have staunchly and cheerfully supported the agency through leadership and hands-on volunteering, always going far above and beyond expectations. We will bestow the Community Partnership Award to the Renaud Spirit Center – City of O’Fallon. The municipally operated recreational facility has been instrumental in helping us expand our pediatric therapy options, generously hosting our aqua therapy program. Co-chairing the gala are Jeff and Susan Sams, owners of Sams Carpet Cleaning and Repairs in St. Charles. 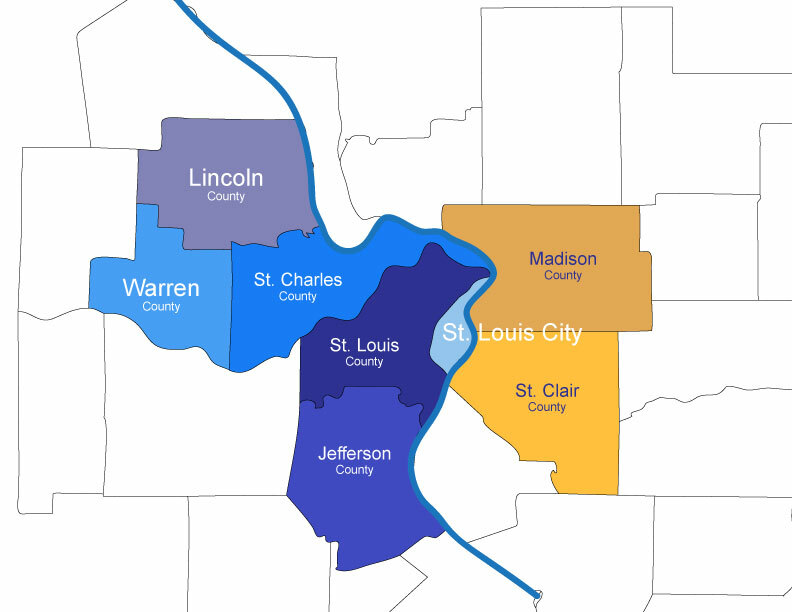 Jeff established the business in 1985, serving commercial and residential customers throughout the St. Louis area. 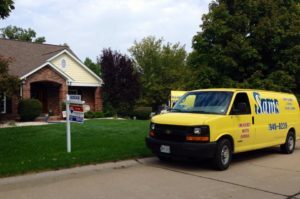 He and Susan are longtime supporters of United Services. With their energy and commitment, Magical Moments is sure to be an amazing event. More than 300 guests typically attend the gala, the biggest annual fundraiser for United Services, a nonprofit agency in St. Peters. 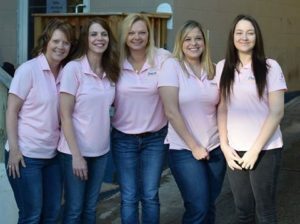 Incorporated in 1977, United Services provides pediatric therapy, early intervention and family support services for children with disabilities. The agency is a leader in preparing children of all abilities to reach their full potential. Please visit www.unitedservicesforchildren.org for more information on the gala, including tickets and sponsorship opportunities.